620 Tavern Drive is a charming mountain home located in one of West Shore’s standout neighborhoods offering 3 bedrooms, 2 bathrooms, plus a loft, and unique peck wood throughout the interior and exterior. 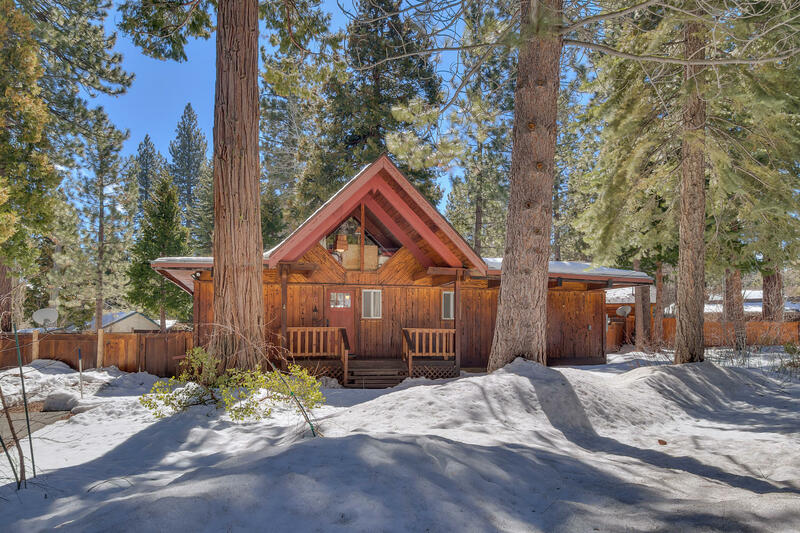 This property sits on a level lot with large wrap-around deck and big fenced-in backyard offering an abundance of sunshine, and is the perfect place to unwind or entertain on a beautiful Tahoe day. Delightfully inviting inside with an open floor layout, access to deck from living room and dining area, vaulted ceilings and wood accent beams make this a wonderful family retreat. Highly desirable HOA amenities with short walking distance to private beach, pier, and buoys. Proximate to all local activities, skiing in the winter, bike paths, and less than mile to downtown Tahoe City.